Can a person really lose weight while eating fried eggs, fried eggs, cheese and tomato? YES. YES, YES you can, just sing along to this campfire song while in the kitchen and bake up some yummy HOT POCKETS! Get inspired, go creative and fill your pockets with whatever ingredients you fancy. Cheese, sausage, onion, avocado, bacon, mushrooms, tomato, spinach, with eggs whipped in. Congratulations Gary RZ in Merced, California! 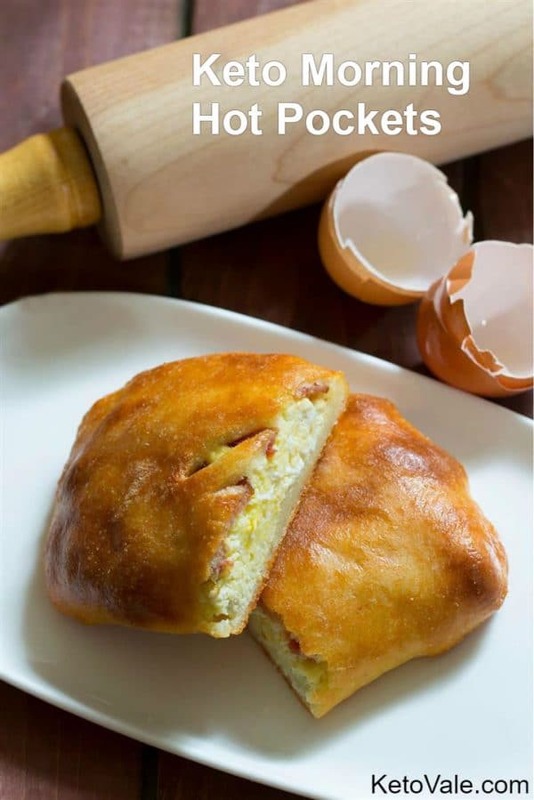 Scramble the eggs in butter & lay them with bacon slices along the center of the dough. Fold over and seal the dough. Add some holes for releasing the steam while baking. Bake at 400°F for about 20 minutes or until golden brown and firm to the touch. My friend Gary lost 80 pounds on KETO recipes! October 5, 2017 in Diet, Keto Friendly, Recipe, Thanksgiving, Weight Loss.